The MultiSports MS-5000 Home Gym is a four station, highly versatile light commercial gym with dual weight stacks. The dual selectorized weight stacks allows multiple users to exercise simultaneously in a home or light institutional setting. The MultiSports MS-5000 Home Gym stations include a chest press, pec deck, leg press, high pulley, low pulley, leg extension, leg curl, ab crunch, preacher curl, mid row, and hyperextension. Range of motion adjustments provide variable starting positions on the chest press and pec deck stations. Users of all heights when exercising are accommodated with adjustable seat positions that allows for proper positioning and comfort.mThe unique design of the leg press allows for over 400 lb. of resistance. The quality and functionality of theMultiSports MS-5000 Home Gym make it the perfect choice for apartment and condominium rec rooms, hotel fitness centers, personal training studios, rehabilitation training centers, and home gyms. The MultiSports MS-5000 Home Gym is a light commercial gym with dual 200 lb. weight stacks. The MultiSports MS-5000 Home Gym stations include a press, pec deck, leg press, high pulley, low pulley, leg ext./curl, ab crunch, preacher curl, mid row, and hyperextension. Range of Motion Adjustments provide variable starting positions on the press and pec stations. Adjustable seat positions allow for proper positioning when exercising. 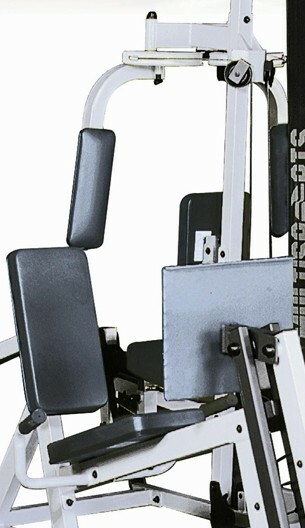 The unique design of the leg press allows for over 400 lb. of resistance. The MultiSports MS-5000 Home Gym is a great training system. Call 1-800-875-9145 to speak with one of our fitness advisors with any questions you may have. Don't wait to get started go to FitnessZone.com today and order your MultiSports MS-5000 Home Gym! Leg Press with over 400 lb. of resistance! 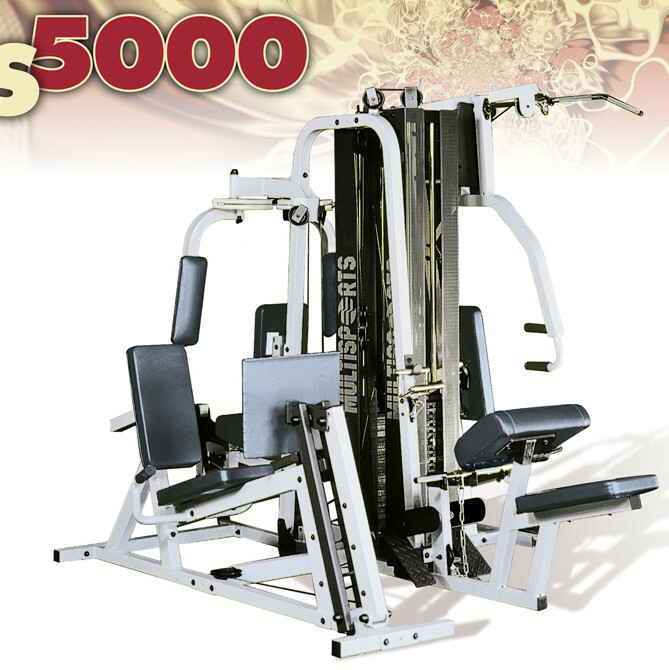 Order your MultiSports MS-5000 Home Gym from FitnessZone.com today! I have had several home gyms and the ms5000 is by far the most solid sturdy quiet heaviest and capable home gym in my opinion. ( so far ) That is for the average height person of course. I am 6’4” and the only drawback I have with the 5000 is at the pec deck / leg extensions station where I have approximately 8 inches of leg overhanging the comfort/support padding roll when doing quad extensions. Not good on the knees. Now this isn’t a functional trainer so you have to move from one station to the next of course. If you don’t mind that then this gym is a lifetime friend. It will last for years.